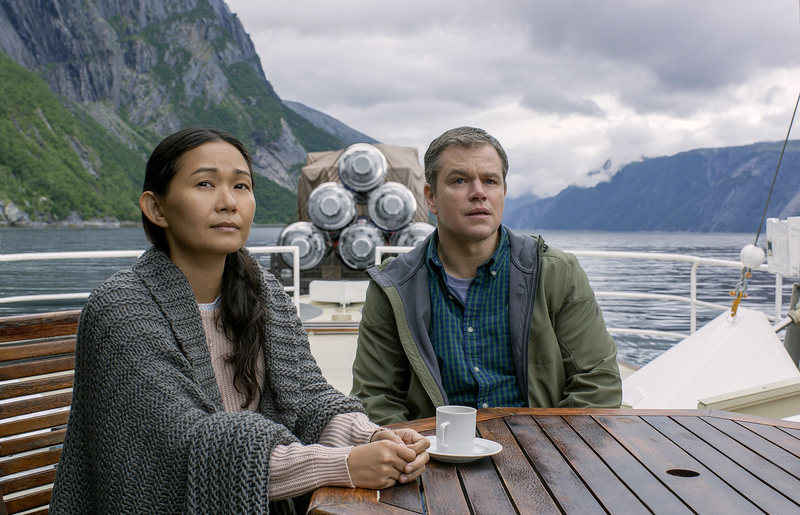 DOWNSIZING – REVIEW – Jason Bourne is shrunk and it’s almost funny. Jason Bourne (Matt Damon) is shrunk as a way of saving the planet and also ensuring he has a more economically comfortable lifestyle. This impossible idea of saving the planet – no sacrifices, no pain – is a fantasy that a better satirist than Alexander Payne would have made into a nightmare. As it is there are some laughs and much fumbled social commentary – the latter due to a strange romance between Bourne and a Vietnamese political dissident played by Hong Chau. The film is one of those oddities that might prove some kind of cult in the future. There really are some quite mad ideas and some great jokes. But despite having been in development for a long time, the final product is messy and occasionally feels random.